Few things are more gratifying than creating something with your bare hands. In a day and age where we are so immersed in a world of digital wonders, it’s refreshing to stop and find something that is truly made by hand. 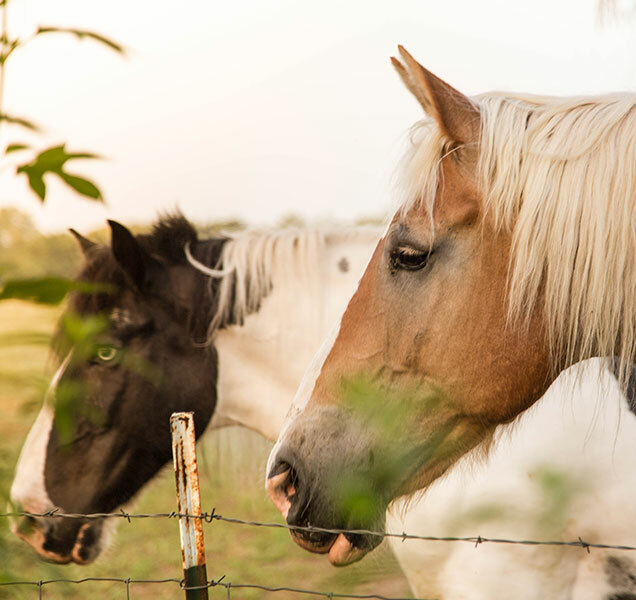 It is the care and attention to detail that drew us in with Ember and we wanted to help them share that story with the world in the best way we knew how. 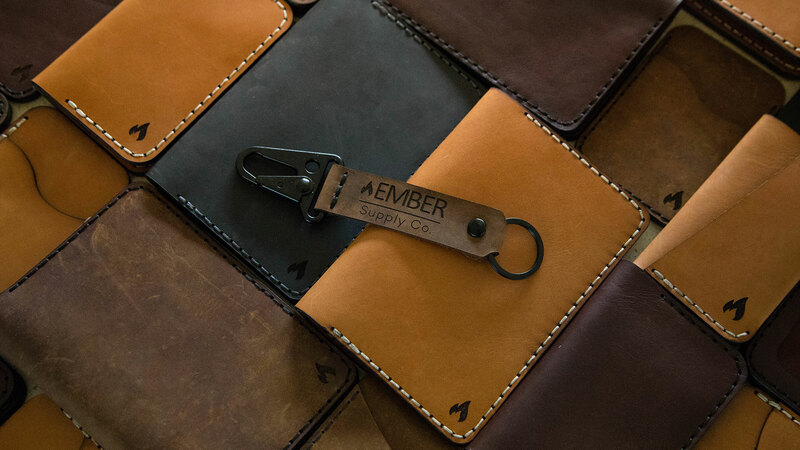 Ember Supply Co. is a husband and wife team deep in the heart of Texas (San Antonio) that believes in quality handmade leather goods mixed with a sense of adventure. 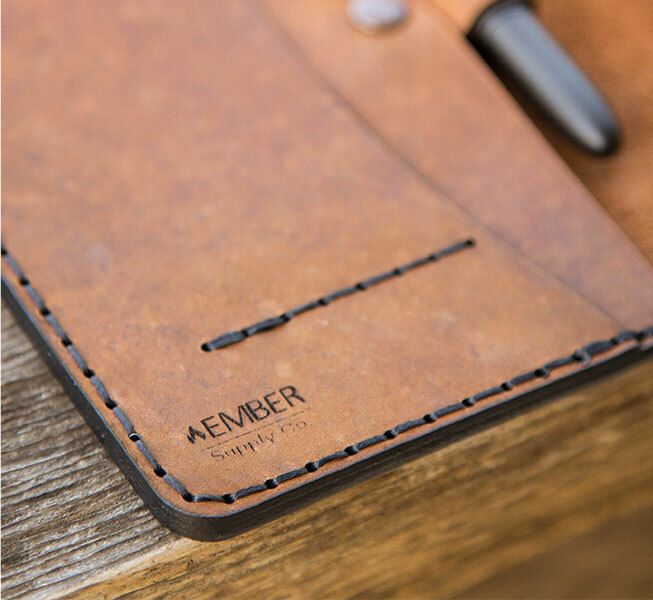 When Seth and Cheryl, of Ember, first approached us they needed a brand and web presence to establish their business as a handmade leather goods service in the San Antonio area. They saw a need to share their beautiful craft with the world and take something from just a passionate hobby to a full on retail business. Due to the unique story behind Ember Supply Co, we wanted to make sure they stood out by designing an original brand along with a truly unique, website to showcase the beautiful products (www.embersupply.com). Ember’s website is a personalized web experience that beautifully showcases everything offered by the company in a way that is easy to understand and navigate. 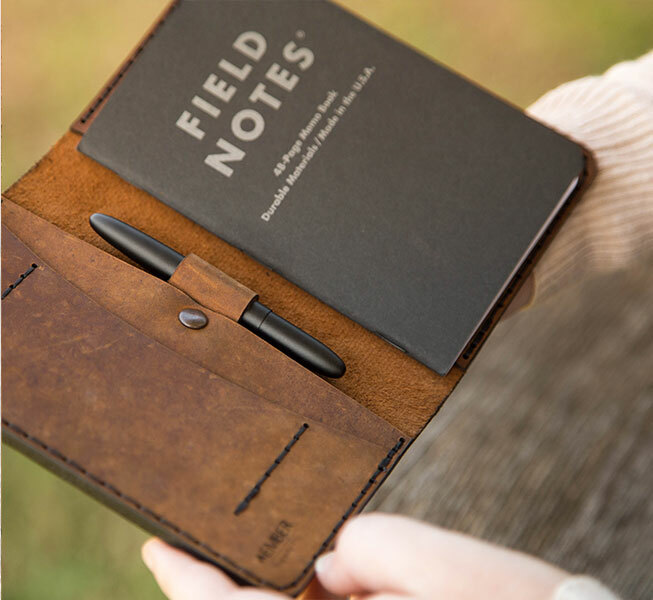 The result is an online experience that aligns perfectly with the spirit of Ember by feeling truly one of a kind, just like their handmade leather products. From the branding to the collateral material, Seth and Cheryl’s vision for creating a sense of wonder and adventure through their products is brought to life in the most beautiful way. 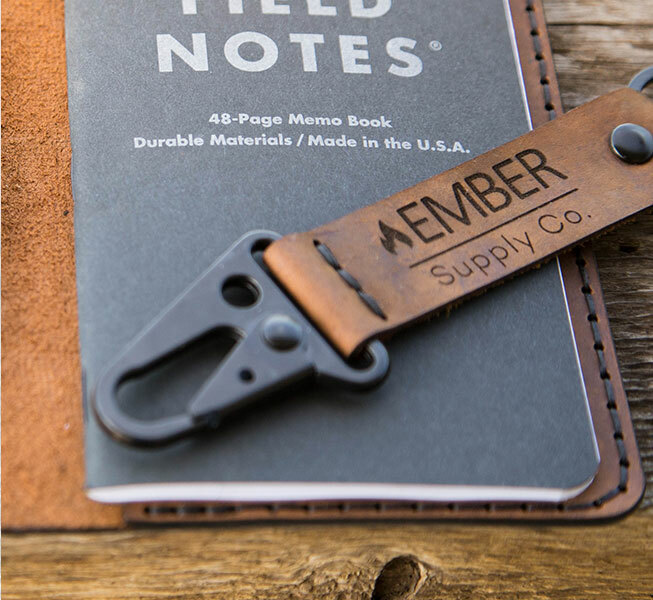 We’re so excited for the future of Ember Supply Co and glad we were able to be apart of its creation.